Greg Smith is always working to create new ways for his students to learn. A member of the Lakeland’s faculty since 2003, Dr. Smith is co-founder of Lakeland Undergraduate Research Experience (LURE), which allows students to work alongside their faculty as peers in conducting primary research. Greg always has students in the program that he pushes to explore new avenues in science. 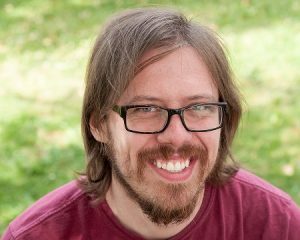 He partnered with fellow biology faculty member Paul Pickhardt to create Lakeland’s tropical biology course in Belize, an amazing hands-on opportunity to conduct research in the rainforest. Students find in Greg a supportive mentor who’s quick with a smile. Greg also serves as the faculty advisor for the college’s chapter of Habitat for Humanity. 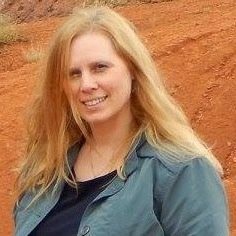 Christina Wills is an Associate Biology Professor at Rockhurst University in Kansas City Missouri. At Rockhurst she teaches General Biology I and II, Biology for Non-Majors, Anatomy and Physiology, General Physiology, and the senior capstone course. Her scholarship of teaching and learning (SOTL) research focuses on democratic science classrooms, assessment, and service learning. Christina’s other research interests include physiological ecology of invertebrates and urban ecology. She received her B.S. in Biology from the University of Arkansas, Fayetteville in 1998. In 2007, Christina earned her Ph.D. in Ecology and Evolutionary Biology at the University of Pennsylvania in Philadelphia. She is an avid Middle Eastern dancer and has performed and taught professionally since 2001. In 2014 she discovered roller derby and was drafted to the Kansas City Roller Warriors as a Black Eye Susan. She has been a member of ACUBE since 2008, has served as the Executive Membership Secretary for Membership from 2012-2015, served as the ACUBE president from 2015-2017, and has now resumed her role as Membership Secretary and taken over managing the ACUBE website. Paul Pickhardt is an Associate Professor of Biology at Lakeland University in Sheboygan, Wisconsin. He teaches Ecology, Evolution, Environmental Science, Life Sciences II (Diversity of Life), Tropical Biology, Invertebrate Biology and Parasitology, Botany, Forestry, Scientific Analysis and Writing, and an Environment and Consumption course. Paul’s research program focuses on the ecotoxicology of mercury at the base of aquatic food webs and he’s particularly interested in how sub-lethal concentrations of mercury accumulate, are transferred, and impact primary producers and their invertebrate consumers in freshwater habitats. He has been a member of ACUBE since 2007. For more about Paul, see his website. Ryan Dunk is a PhD candidate at Syracuse University in Syracuse, NY. He has taught majors and nonmajors introductory biology and a nonmajors plant biology course, as well as worked as an HHMI-supported fellow focused on increasing the use of active learning in large-enrollment biology courses such as ecology and evolution. 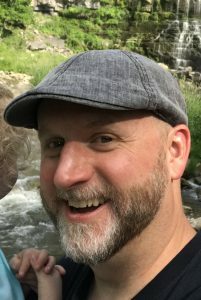 Ryan’s research focuses on educational, social, and other factors related to acceptance of evolution, as well as increasing diversity in STEM education through equitable teaching practices. Jason R. Wiles is a biology professor at Syracuse University. He also has courtesy appointments in the Department of Science Teaching and the Department of Earth Sciences. His research focuses on student understanding of and attitudes toward evolution and climate change, as well as on expanding diversity among students pursuing careers in biology and other STEM disciplines. Conrad is an Associate Professor at Brescia University in Owensboro, KY. He is an aquatic ecologist by training but, given Brescia’s size, is expected to cover everything from protists to ecosystems. He has taught nonmajors biology, ecology and evolution (and upper-level versions of both), biological diversity, applied environmental science, conservation biology, marine biology, animal behavior, vertebrate biology, advanced physiology, deep time biology, and statistics. Conrad joined ACUBE around 2000 and has been unsuccessfully avoiding governance duties for the past decade. While he greatly appreciates receiving the 2013 Honorary Life Membership, he will probably contribute another decade’s worth of service before he feels like he earned it. Jessica Allen is a Lecturer of Biology at Rockhurst University in Kansas City, MO. Most of her experience teaching has been in introductory biology for non-majors. She has also taught ecology and environmental science and teaches a 2 week study abroad trip in Nicaragua. Her early interests included animal behavior and she studied the behavior of captive animals both in the lab and various zoos while earning her master’s degree at James Madison University in Virginia. She went on to earn her PhD in Biology at Bowling Green State University studying the conservation and ecology of bat species in fragmented Midwestern oak savanna habitat. Her current interests include delivery and assessment of informal education, and the foraging and roosting ecology of bats in fragmented landscapes. Holly Nance is an Assistant Professor of Biology at the College of Coastal Georgia. She earned a Master’s in Geological Sciences from The University of Texas at Austin, and a PhD in Biological Sciences from Clemson University. Her research background is in population genetics, and she currently mentors undergraduate students whose research focuses on epigenetics, eDNA, and seafood mislabeling. She teaches intro biology courses, cell and molecular biology, and genetics. She loves teaching and continues to work toward being an engaging and innovative instructor. 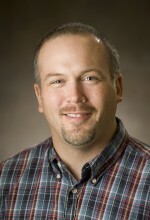 Scott Shreve is an Assistant Professor of Biology at Lindenwood University-Belleville in Belleville, IL. He teaches Introductory Biology (evolution, ecology, and biodiversity), Animal Biology, Evolution, Invertebrate Zoology, and Field Taxonomy. 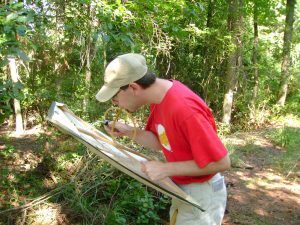 His research interests include the biodiversity of bark lice (Psocoptera), and fine-scale habitat preferences of insects. In the classroom, he is interested the use of primary literature as a teaching tool. Outside of work, he enjoys science fiction and playing games with his family. He has been an ACUBE member since 2015, and joined the Steering Committee in 2017. 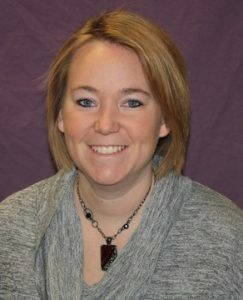 Ashley Driver is an Assistant Professor in the Department of Biology at the University of Wisconsin-Stevens Point. She teaches Cell Biology, Developmental Biology, and Introductory (Animal) Biology. Her research focuses on mechanisms of early brain development and the role cholesterol biosynthesis plays in this process. She joined ACUBE in 2018 and hopes to gain insight on how to improve inclusivity and critical thinking in both lecture and laboratory settings. Melissa Haswell is an associate professor in the science department at Davenport University in Michigan. Melissa received her Bachelor of Science degree in biology from Alma College and completed two master’s degrees (Health Promotion and Conservation Biology), as well as her Ph.D. in Educational Leadership with an emphasis in biology education from Central Michigan University. 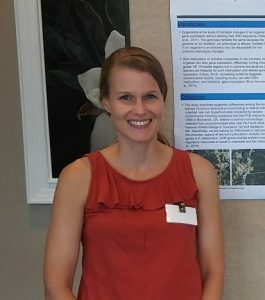 After completing her second master’s degree, she worked as a research assistant for the Aquatic Toxicology Department at Michigan State University for 2.5 years on an ecological risk assessment examining the effects of dioxin contamination in the Tittabawassee River Watershed in central Michigan. While she enjoyed ecological field work, teaching was her passion, which is why she decided to pursue the education-based Ph.D. She has been teaching anatomy and physiology, as well as pathophysiology, for pre-nursing students for the last 14 years, and also teaches introductory biology and science ethics for majors. 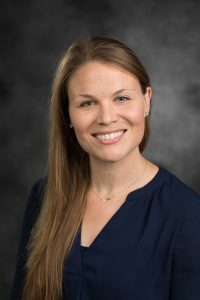 Currently, Melissa conducts science education research in both the SOTL and TAR formats on the implementation of various learning modalities such as case-based and problem-based teaching & learning, dialogue education, and genetic literacy of nursing students. Another research interest for Melissa is the social justice aspects of science education related to women in STEM in which she has published a book chapter about the barriers of gender normative language for women pursuing STEM careers. Melissa is also is a Higher Education Ambassador for HHMI BioInteractive (2017-present) and was Science Case Network Fellow and Scholar under the mentorship of Patricia Marsteller from Emory University from (2015-2018) supported in part by NSF RCN UBE grant # 1344208. For more than ten years, Dr. Seitz has taught in the community college classroom. Dr. Seitz currently teaches in both traditional and online environments. Her educational research focus is on assessment in online learning and engaging non-traditional students in an online classroom. As a PULSE leadership fellow, Dr. Seitz has been involved in numerous projects to effect change in undergraduate life sciences education at the departmental level. She has worked within our regional network framework to form communities of practice across institution types to improve life science education. As an editor for the Journal of Microbiology and Biology Education Tips and Tools section Dr. Seitz has helped to engage a community of educators in developing best practices that are easy to implement in the classroom. Finally, as a first-generation college student Dr. Seitz is always mindful of the impact educational interventions can have on student success. Constitution and By-Laws for operating procedures amended in 2008. Articles of Incorporation for not-for-profit status. Steering Committee Handbook to view description of officer responsibilities.